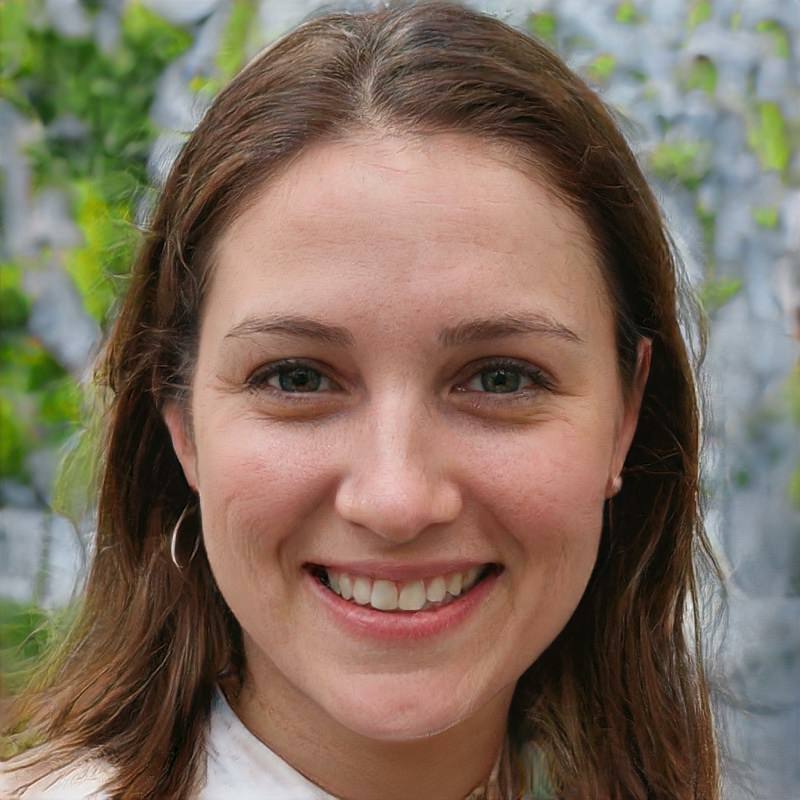 I was surfing through Facebook one day and landed on some pictures from my friend and school mate, Helen Abbott Feller. She posted a picture of a friend holding a Topsy Turvy Apple Pie. I had never heard of such a pie and it looked delicious! I couldn’t wait to get my hands on a recipe. 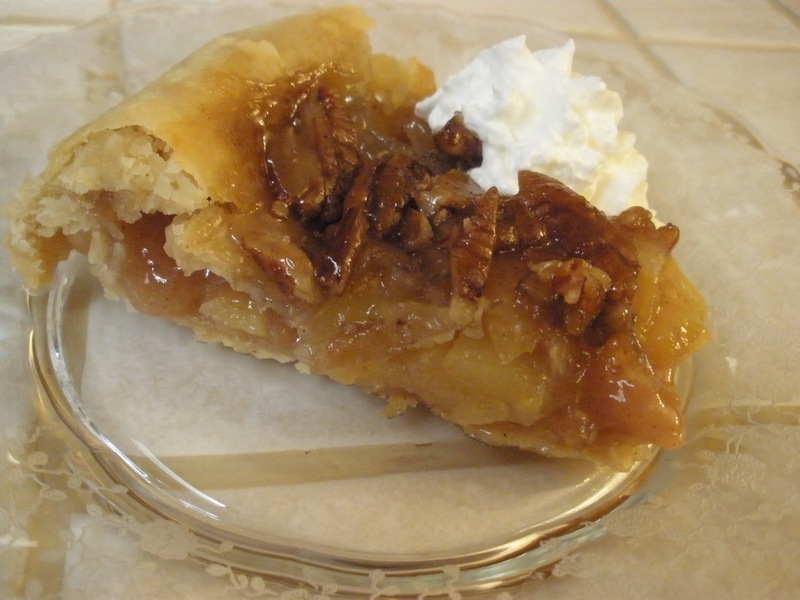 Helen said “Topsy Turvy Apple Pie…. Mmmmmm… thank you Ruby! !” and I say “thank you Ruby” too! I found the recipe and tucked it away for just the right moment in time. As you know from my Banoffee Pie recipe I was on a dessert kick last week. I decided that Topsy Turvy Apple Pie would make a perfect chaser to the Banoffee Pie. After all, this was FRUIT — I figured I couldn’t get much healthier than that 🙂 I made the pie and believe me, my pictures do not do justice for this creation. Just imagine brown sugar, corn syrup, butter and pecans for the first layer. Add a pie crust and fill it up with autumn’s fresh apple bounty. After baking, the pie gets inverted onto the serving plate, transforming the sticky, gooey, sweet bottom crust into a caramelly ( I know, it’s not a real word), nutty topping. I was just coming off a Banoffee Pie high and then this popped out of the oven and the weekend was off to a roaring start! 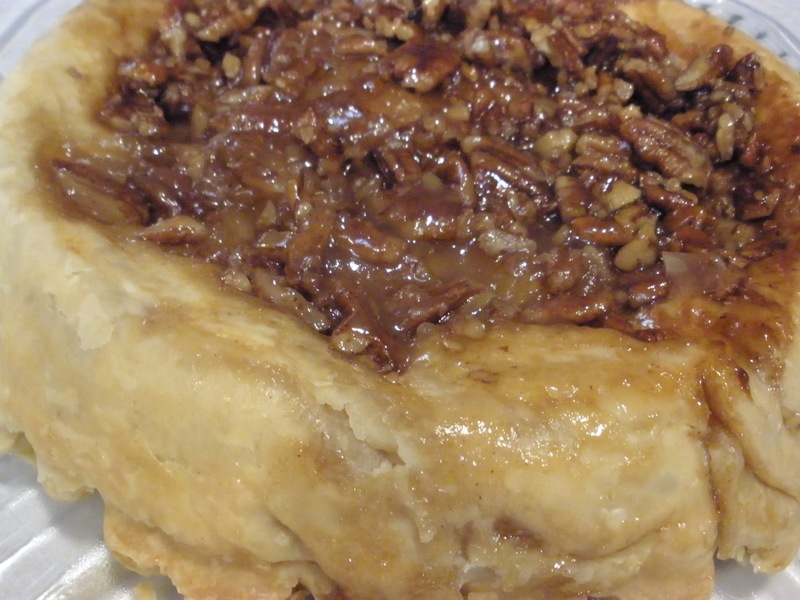 Nothing says “fall” like apples, pecans, and caramel. 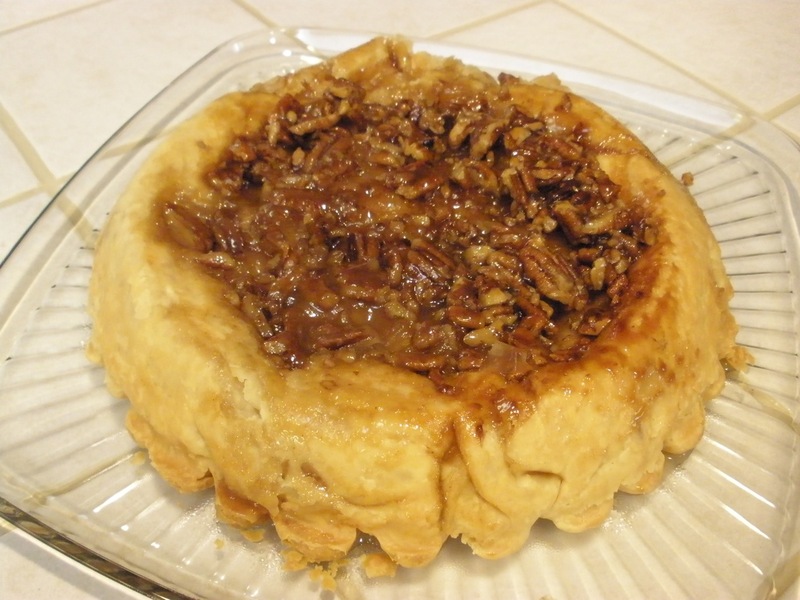 I hope you will have a chance to give this Topsy Turvy pie a try. Your family will love you for it! brown sugar, butter and corn syrup. Spread evenly in bottom of pie plate. 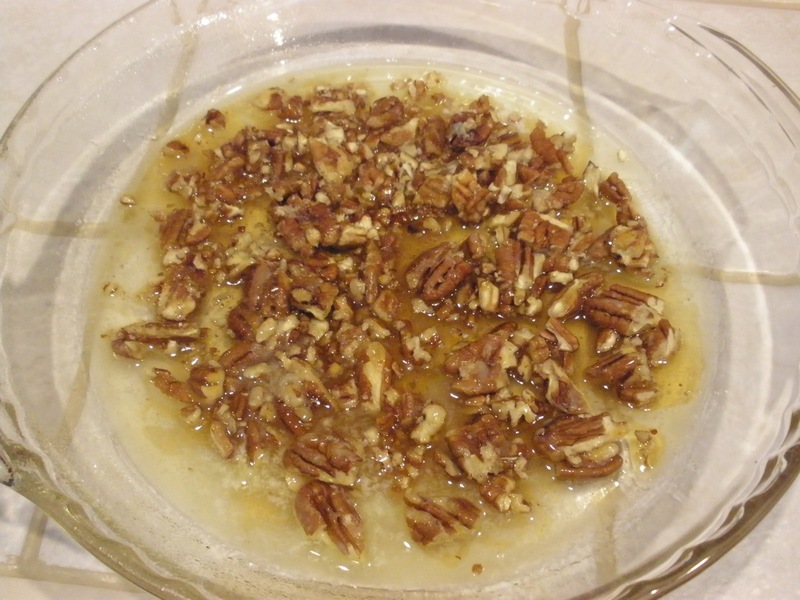 Arrange pecans over mixture. Place one pie crust over mixture in the pan. In small bowl, mix granulated sugar, flour and cinnamon. Arrange half of the apple slices in crust-lined pie plate. Sprinkle with half of sugar mixture. 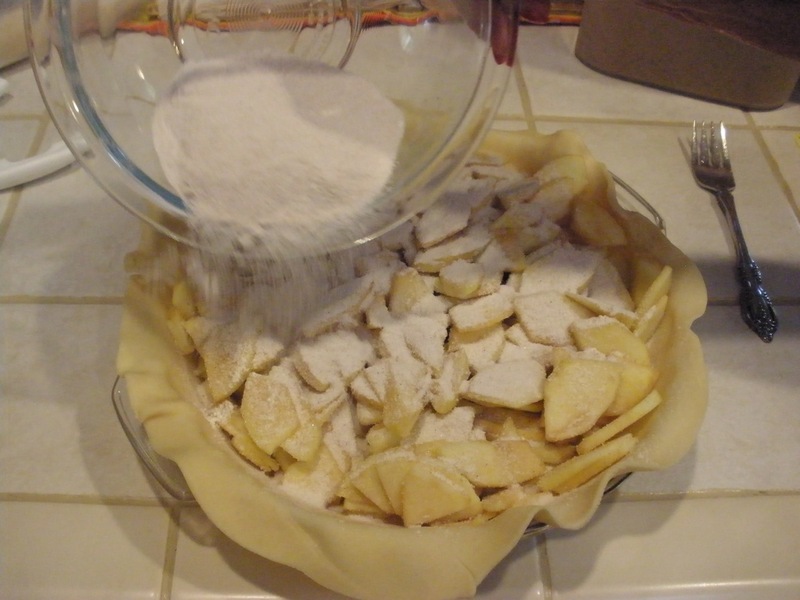 Repeat with remaining apple slices and sugar mixture. Top with second crust; seal edge and flute. Cut slits in several places in top crust. 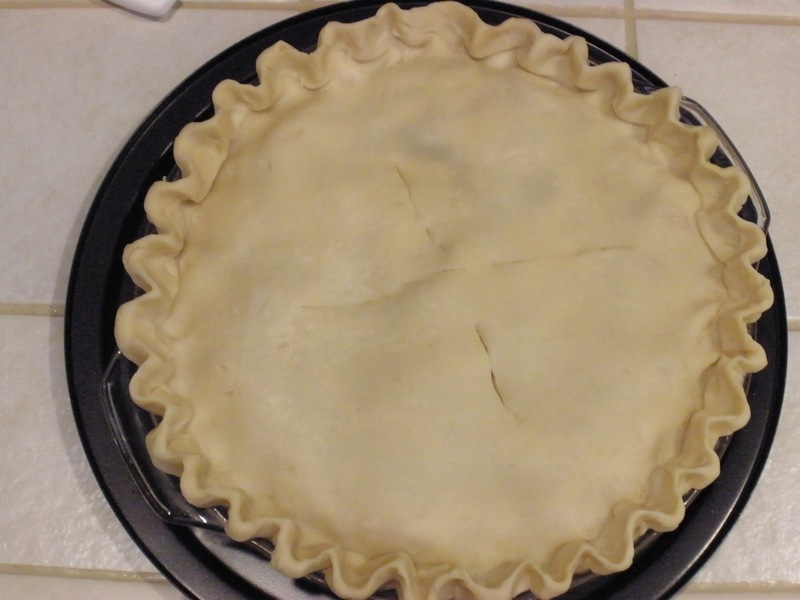 Place pie on sheet of foil on middle oven rack in oven or on a pie ring; bake 8 minutes. Reduce oven temperature to 350 degrees F; bake 35 to 45 minutes longer or until apples are tender and crust is golden brown. Immediately run knife around edge of pie to loosen. Place serving plate upside down over pie; turn serving plate and pie plate over. Remove pie plate. Serve warm or cool with whipped cream. Can barely wait to try this recipe!